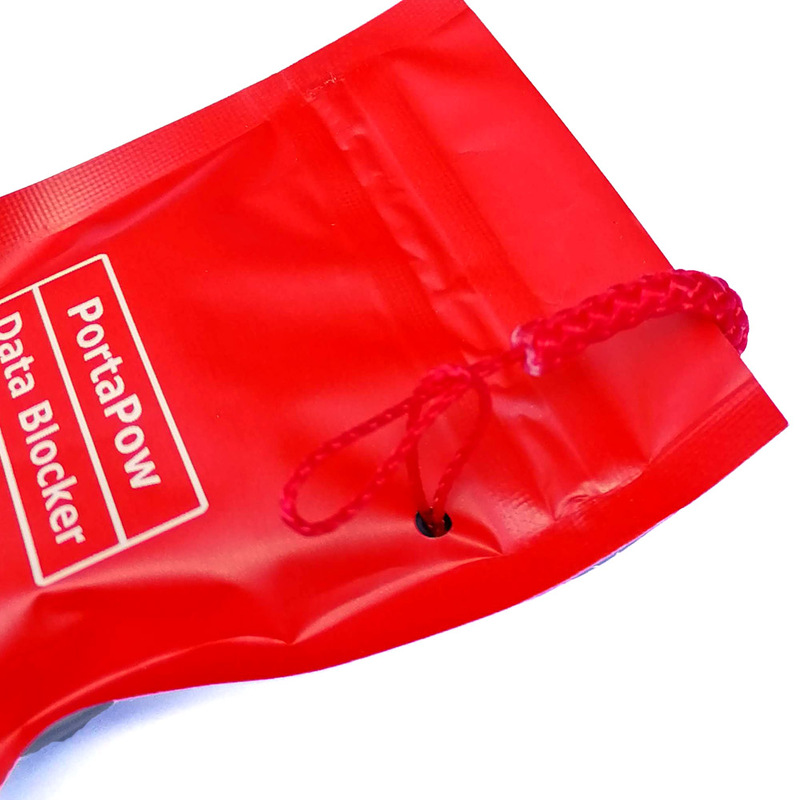 The Single and Twin Pack versions of the 3rd Gen PortaPow Data Blocker include a string lasso so the bag can be attached to a USB cable or keyring. 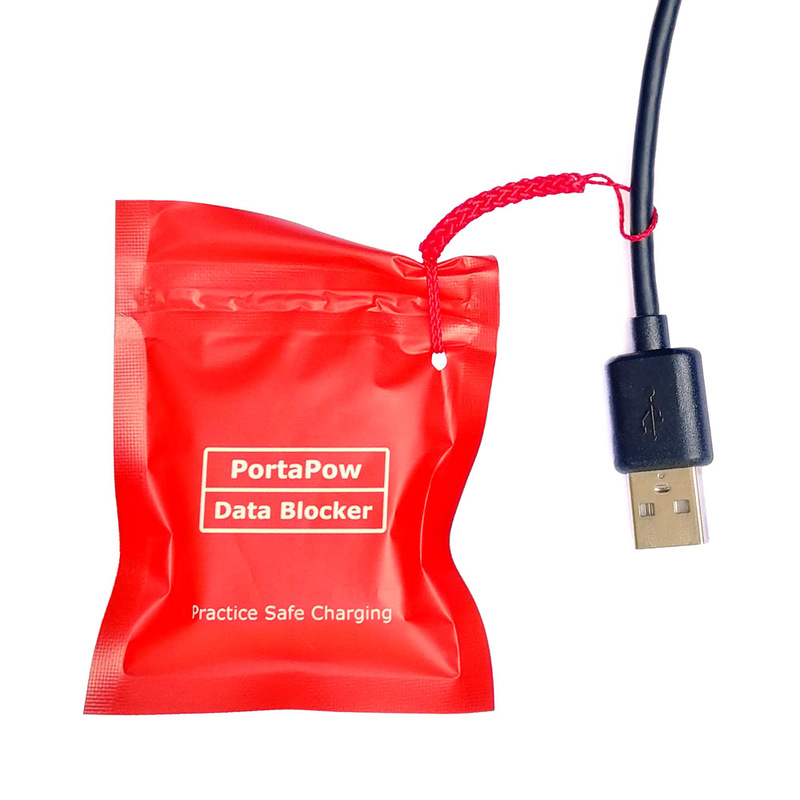 The data blocker and / or other bits such as a USB-C to headphone adaptor or Lightning to USB-C converter can then be kept safe and to hand. Make sure this is done over the top of the bag and not over the side. There should be a good amount of the bag to the right of the string (A) to prevent the string slipping over the edge to the side. 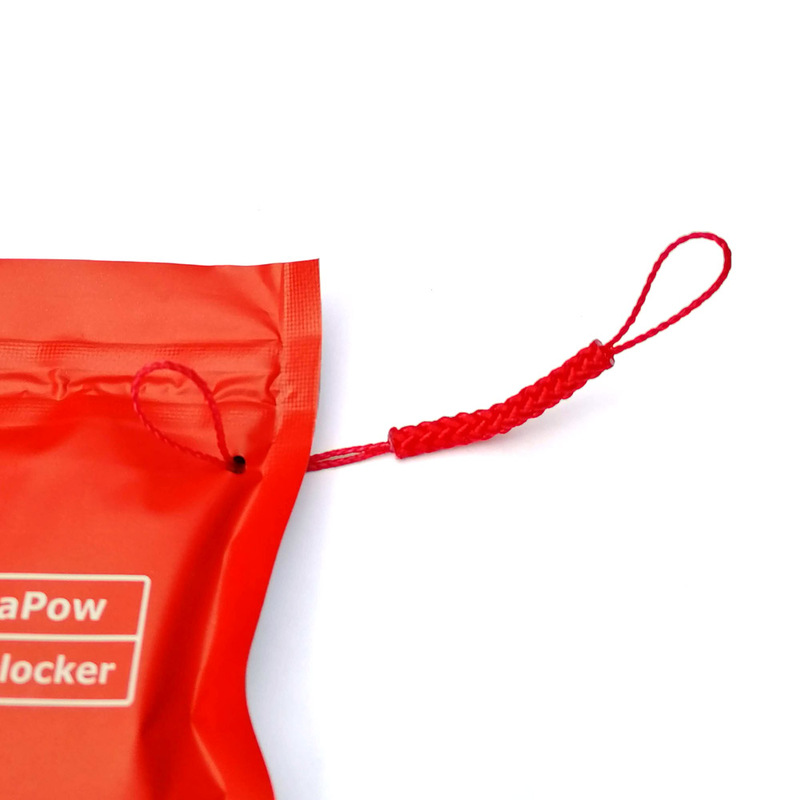 The bag is weaker on the side so the string must be tightened around the top. Feed the small loop through the end of the cable which has your device’s connector. 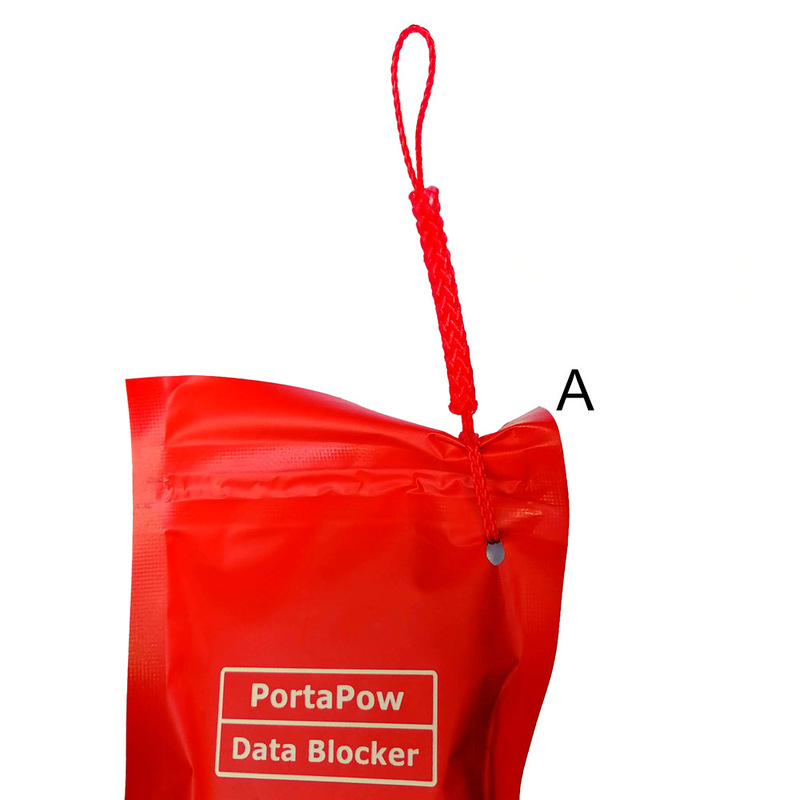 The loop will be too small to pass through the end which connects to the data blocker. You can also attach the loop to a keyring.